We offer a full range of MacDill property management services tailored to you as an investor, homeowner, or landlord. 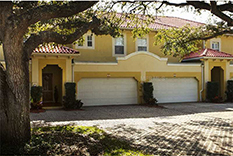 We have an extensive portfolio of single family homes, townhouses, condos, and apartments in the MacDill area. 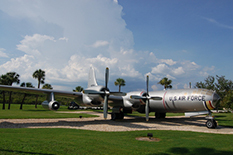 MacDill AFB was established in 1939 as Southeast Air Base, Tampa. Named in honor of Colonel Leslie MacDill (1889–1938), a WWI aviation pioneer, MacDill is home to the 6th Air Mobility Wing, the 927th Air Refueling Wing, USCENTCOM, USSOCOM and 50 other Mission Partners. MacDill is located on 5,767 acres of land 8 miles south of Tampa, on the southwestern tip of the Interbay Peninsula in Hillsborough County. Although MacDill is an Air Force Base, it is also home to many soldiers, sailors and marines; approximately 10,500 military and 4,000 civilians are assigned to MacDill. Since the Tampa Bay area offers warm climate, a variety of recreational and entertainment opportunities, and a rich menu of services for military personnel, veterans seek MacDill as an ideal retirement area with a wide selection of property styles and values.